During my UDC training, that’s all our Master Sargeant kept saying. 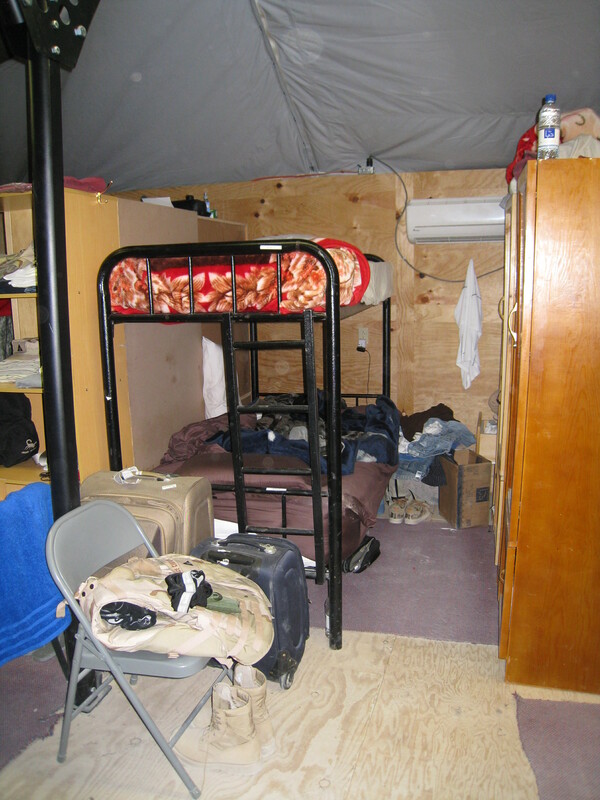 “Once you get to Kandahar, Qalaa House will seem like Camp Cupcake.” He was right. The conditions here are very different. Qalaa House was primarily used for USACE personnel and featured a 24 hour mess hall and gym, some mature trees, sidewalks and paved paths. It was also much smaller and surrounded by at least 15 foot high walls. Even though you were in Kabul, you felt safe. 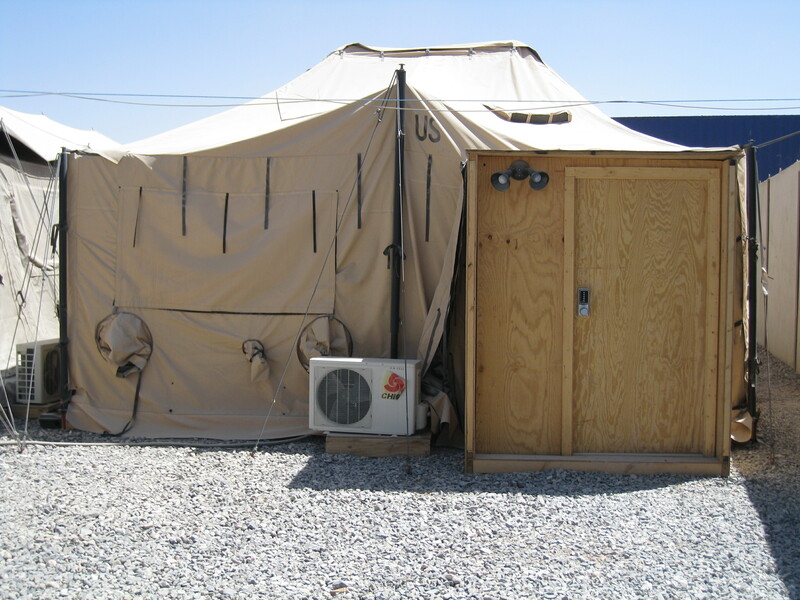 Kandahar, on the other hand, is sort of what I imagined a military base would be like. It’s at least 8 times the size, with thousands of NATO troops. The base itself is part of the Kandahar Airfield and once you pass the airfield gates, it’s all dust, dirt and military business. There are no walls surrounding the base. Only a fenceline. All branches of the military are represented here and the variety of military vehicles and aircrafts that come and go all day and night (apparently, there is no flight curfew) is an interesting site. Most of the roads are dirt and gravel. I’ve been told it hasn’t rained in months and I believe it. Walk to the mess hall or PX and back and you’re covered in dirt. All over your shoes, pants, mouth, eyes…you get the picture. There is also the stench of sewage. It’s not apparent all the time, but it is in air. The smell is worse in certain areas and it is almost impossible to predict when and were you will get a whiff. 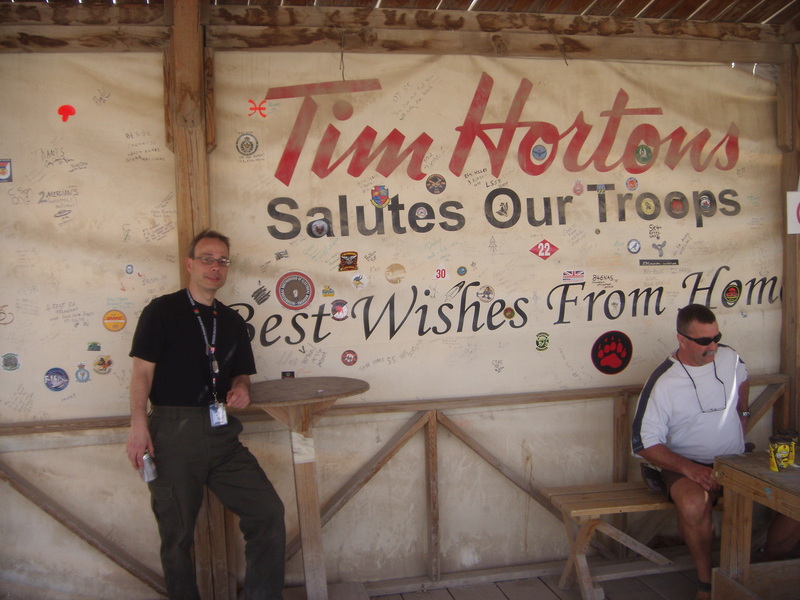 As for the food, there are more places to eat including a Pizza Hut, Gyro’s, Subway, and, for all the Canadians out there, a Tim Hortons (see picture below – it’s an institution in Canada). But that doesn’t mean the food is good. And then there is the issue of availability. For example, I wanted to get a sandwich at Subway, but it was closed because they had no meat. So I stopped by Pizza Hut to get a vegetable pizza, but the only veggie they had were green olives. So I settled for a chicken gyro…at least it was supposed to be chicken. My living quarters went from a small room with two beds at Qalaa House to a tent (more like a covered shed) with 12 other guys. We share 6 bunk beds and, of course, I’m on top. Lights are out at 10:00, but we’re usually still working at that time, so I have to wander in the dark – quietly – and try to navigate up the ladder to my bed. To make matters worse, our tent has no bathroom. The nearest one is in the building next door, which is about 100 feet away. Try navigating out of an upper bunk at 5:00am, get shoes on and make your way through the dark when you have to go to the bathroom. It makes for some anxious moments! It has certainly been an adventure. Good to hear from you again Bill! I’m sure you’re working hard. Hope to hear more after you return. This is insane. What a crazy experience. I can’t believe you’ve been on this mission for almost a month. I am glad that you are doing well, and I hope to see you soon! Thanks Leah! Hope to see you again soon, too. You’ll have to fill me in on your travels. Be safe over there … what’s a Tim Hortons? Hi Bob…Tim Horton was a Canadian hockey player, who had a middling career with the Rangers and Maple Leafs. When he retired, he started a coffee chain in Canada call “Tim Horton’s” (sort of like a Dunkin’ Donuts).